Jefferson City Judo Club was established in the 1970s' teaching and promoting the principles and lifestyle of Kotokan Judo as it was intended by the founder of Judo ~ Jigoro Kano. Judo - a self-defense martial art to train your mind and body while developing self-confidence, self-discipline, respect, fitness all while having fun. Our qualified instructors years of experience is ready to help you achieve your judo goals. We offer class for ages 6 and up two nights a week, Monday and Thursday. Our beginner/intermediate class starts at 6:00 PM and our advanced class starts at 7:00 PM. Would you like more information on hours, classes and programs available at Jefferson City Judo Club? Please contact the school with your questions. Update the details, Write a Review or Report Error of Jefferson City Judo Club. View all Dojo in Jefferson City or in Zip code 65109. This Chart shows the Martial Arts Styles offered most in Jefferson City, Missouri area. 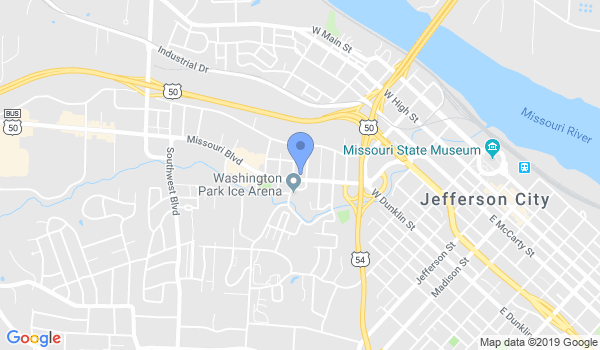 View a list of Dojo in Jefferson City, or enter your address below to find schools closest to you.